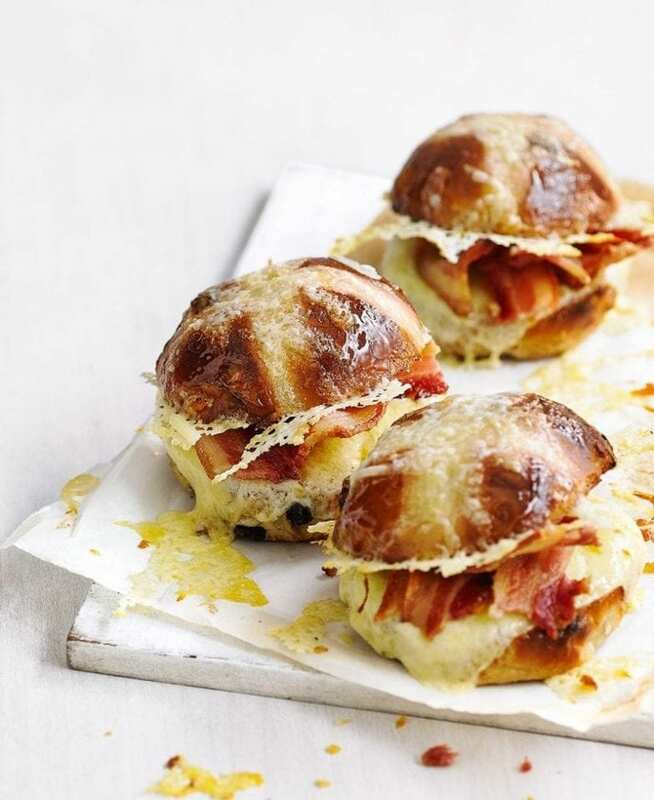 Make Easter a little more decadent with these moreish hot cross bun toasties. Gone in just a few bites we recommend making several at once. Heat the grill to high. Dry fry the bacon rashers until crisp on both sides, then set aside on a plate lined with kitchen paper. Halve the hot cross buns and put them on a baking tray, cut-side up, then toast for a minute or two under the grill until golden. Flip the tops over so they’re the right way up, put a slice of mature cheddar cheese on the bottom half of each bun, sprinkle the grated cheddar over the tops of the buns, then grill on the middle shelf for a few minutes until the cheese has melted. Top each bottom half with 2 broken crispy bacon rashers, then replace the lid on each bun. Serve immediately.